1. It helps to calm and quickly calm sensitive and tired skin. 2. Contains abundance of moisture to maintain the hydrating power to make skin more clear and brighter. 3. Because of its excellent natural convergence, It is effective in tightening wider pores. * Use it as moisture pack. Put a nice thick layer and after 5-10 minutes later rinse it off. If you do not want to rinse, wipe it off with tissue and lightly tap to absorb. * To make water light makeup. Mix the ratio of makeup base product and soymilk in 2: 1 ratio. You can produce a moist and radiant skin. Apply the soothing gel that is dry due to heater or airconditioner. * Using as an essence to the top of the hair. 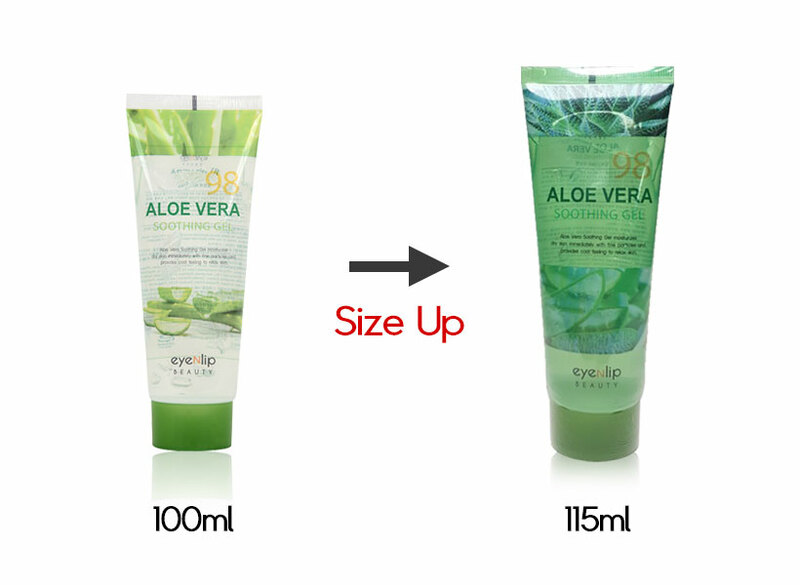 Mix with a small amount of oil and apply to damaged hair to maintain moist hair. * Soothe irritated skin after shaving. It soothes irritates skin after shaving and provides moisture to keep skin smooth.